Madison doing what she did best, lying in the periwinkle! Interviews: Exchange Students & Chilenos from DUSA Vloggers on Vimeo. Adios Chile from DUSA Vloggers on Vimeo. What I Learned in Chile… from DUSA Vloggers on Vimeo. 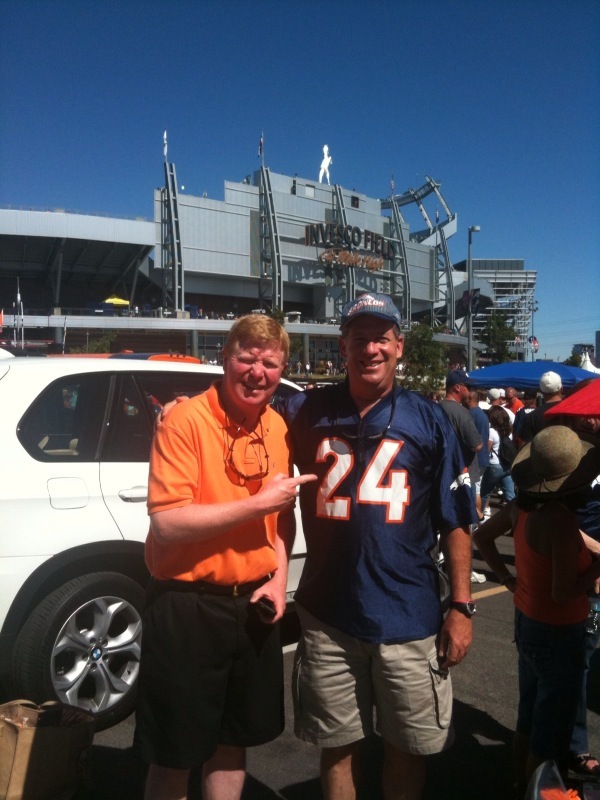 After the Bronco vs. Bears win over the weekend, I had to post this picture too. They are calling him the “Mile High Messiah” this morning on national news. 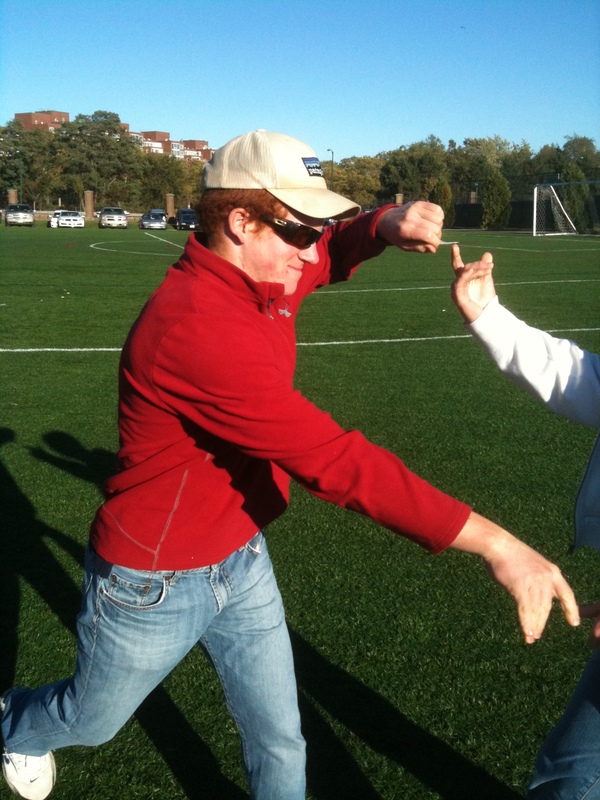 So, let’s give it up to Tebowing one more time. 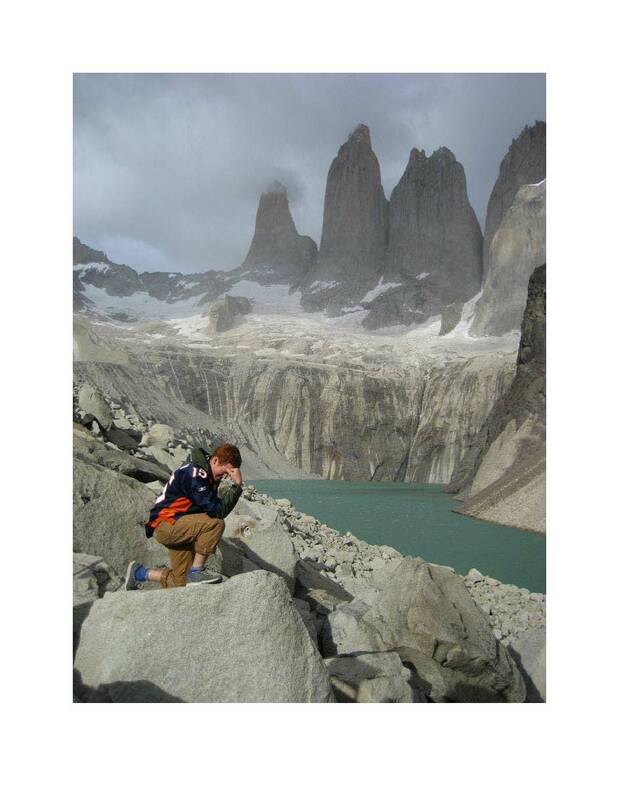 Andrew had a wonderful backpacking trip through Patagonia. Along the way, he stopped for a little Tebow fun. His 50 mile hike took him through the “W” and back. He was blessed with perfect weather. We can’t wait to see him back in Denver the week after next! 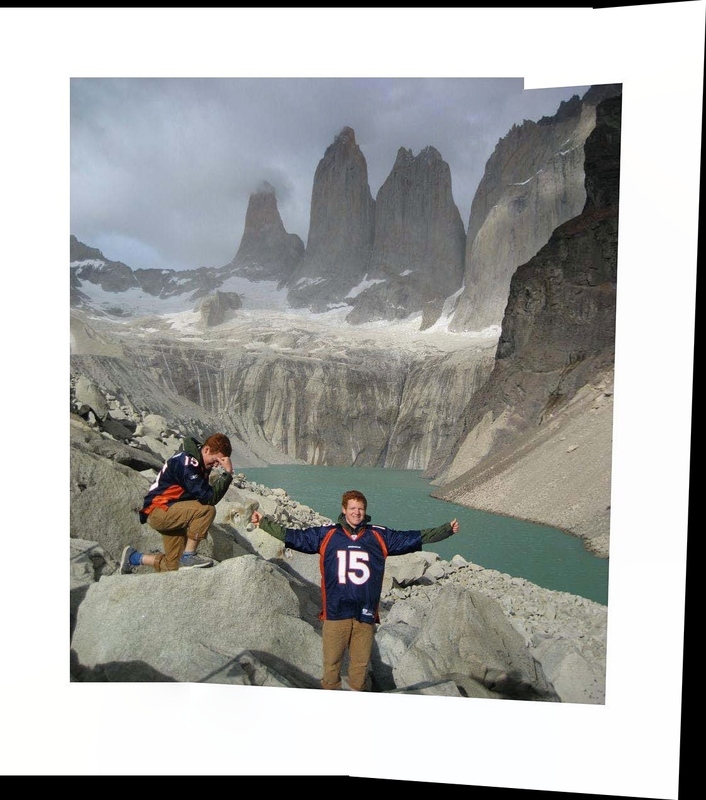 Andrew at his study abroad semester is reaping great travel rewards! Chile goes Machu Picchu from DUSA Vloggers on Vimeo. Fiestas Patrias (4th of July in Chile) from DUSA Vloggers on Vimeo. Stair Painting- Valparaíso, Chile from DUSA Vloggers on Vimeo. Not breathing too hard yet. 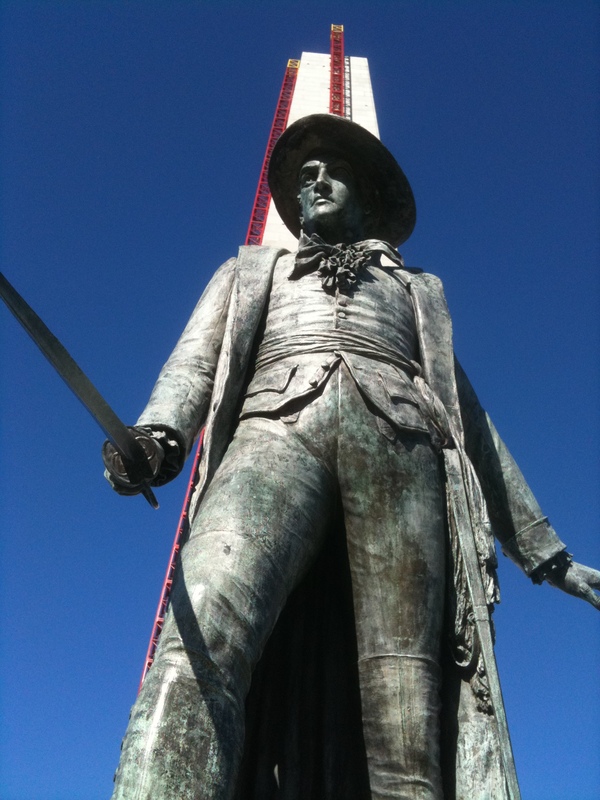 Cerro Concepción from DUSA Vloggers on Vimeo. Andrew is off to Chile! Worth watching this short video of the State Champions! Wow, what a month! It’s been weeks since my last post. 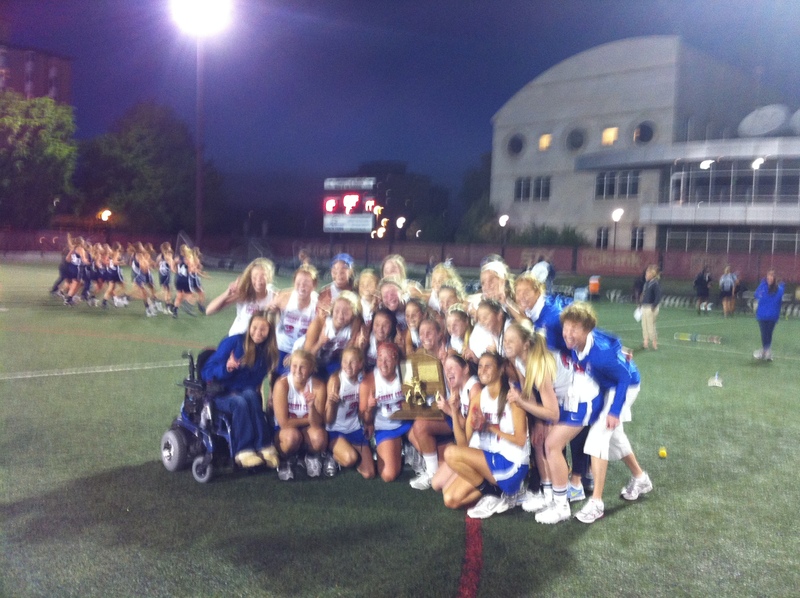 From the top, Dee’s lacrosse team won the state championship! Caroline was right there with her leading the way. Then they were off to Stony Brook for the US National Tournement with Team Colorado. So far, they have won their first two games. William is enjoying being an IT professional, a Land Rover owner and the life of a young healthy bachelor. Life is good. Andrew is charging ahead finishing up his Sophomore year at DU. Working, study, campus life, Young Life and more. He’s a busy guy. season has been put back a couple of weeks. I’ll get to it. It just means we need to go later in the season, right? Life is good and the waters are calm! Dee’s Creek Girls suffered through a tough game against the Dreaded Kent Sun Devils with a 19-18 loss on Tuesday night. Kent played their best game. It was an interesting game to watch with confused defenses on both sides. Just one more regular season game before the state tourney starts. More to come, keep the faith. Go Bruins!! Dee and Caroline brought home another win last night. 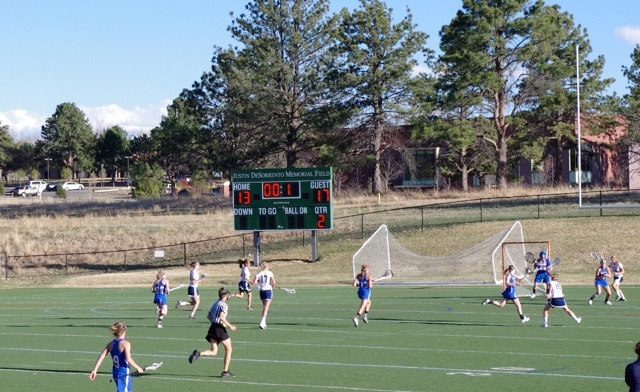 Here’s what the Post had to say: “Although the Kent Denver girls lacrosse team was quick to deflect any potential excuses, it was difficult to look past a couple of facts. The Sun Devils, ranked second in the state, had held exactly one practice since the end of spring break and had not played a competitive match since March 22. Top-ranked Cherry Creek was less than a week removed from playing three top-notch programs in California, and the Bruins clearly were the team clicking on all cylinders in Tuesday’s showdown between the state’s top two teams. 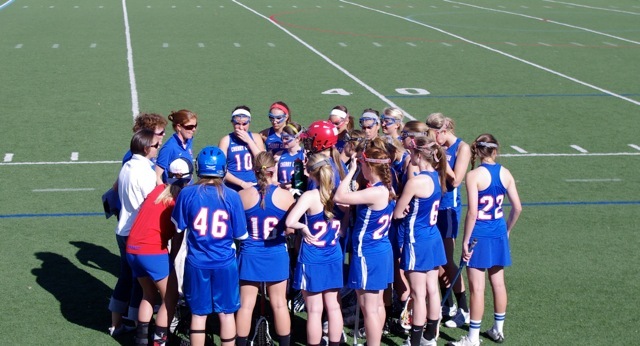 Cherry Creek blitzed the host Sun Devils with a flurry of goals to begin each half, paving the way for a 17-14 nonconference victory. Cherry Creek (8-0) scored four goals during the first 5:10 of the contest en route to a 10-6 halftime lead and put together an identical burst after the break, taking a 17-8 lead early in the second half. The Bruins were led by a six-goal effort by Bailey Zerr, but the senior attacker nearly paid a costly price with 18:07 remaining. During Zerr’s sixth goal, her 48th of the season, she collided with a pair of Kent players and suffered a shot to her head. Zerr did not return, but her injury is not considered serious. The Bruins also received five goals and one assist from Anya Gersoff. 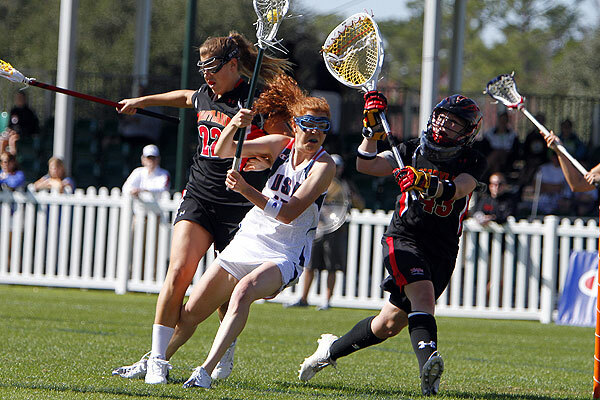 Molly Coates scored four goals to pace Kent Denver (2-2). “That’s always been our motto, to go out and shove it down their throats a little bit,” Zerr said. Cherry Creek (goals-assists) —Zerr 6-0, Gersoff 5-1, M. Bandt-Law 3-1, Finn 2-0, Sisk 1-0, Boone 0-5.Kent Denver —Coates 4-0, Strazza 3-1, Mower 3-1, Dikeou 3-0, Ellis 1-1. Dee’s lacrosse season has begun with 7 nice wins right out of the shoot. She has a great assistant coach, Caroline Cryer. The two of them can talk lacrosse longer and deeper into the night than any two. William is entrenched in his career at Ernst & Young. He loves his work so much that he went out and bought himself a new car. New to him that is? Being a Landie Guy, he picked up on an ’08 LR3 Land Rover. First trip, Las Vegas go figure? 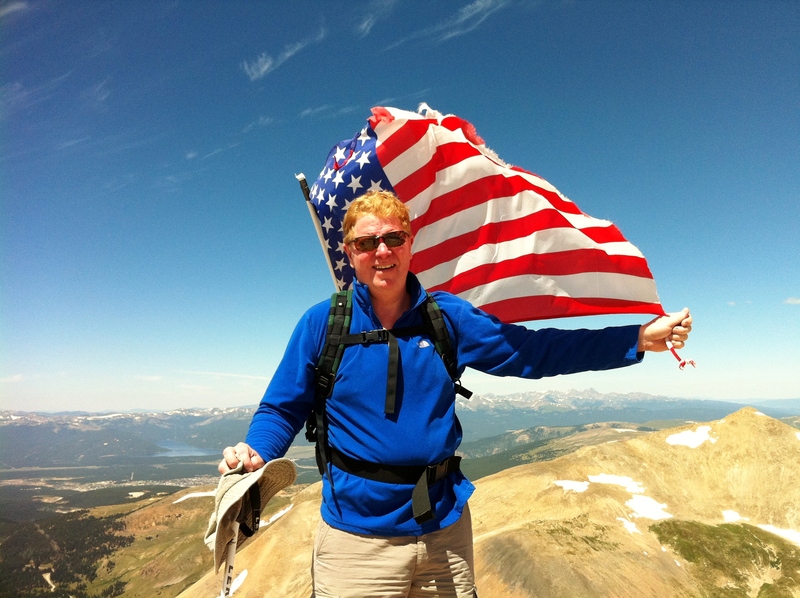 Andrew just returned from a fabulous spring break in Jackson Hole. 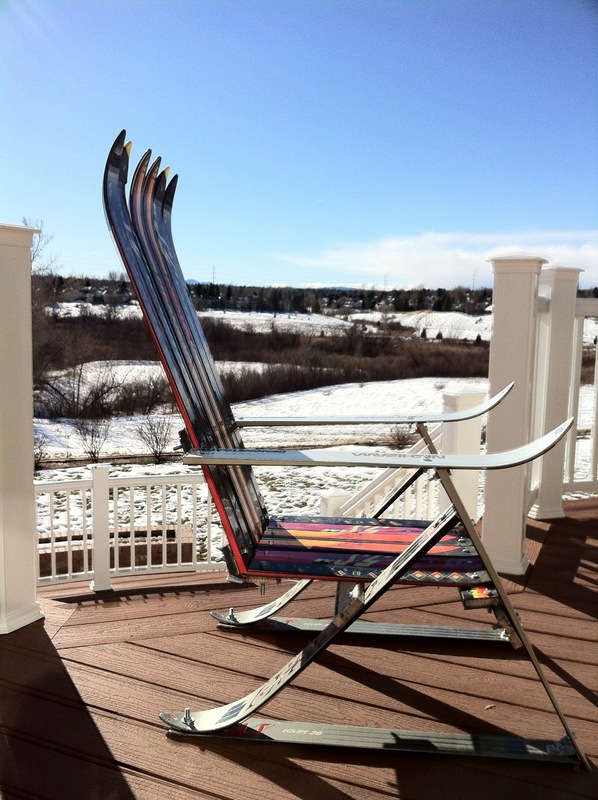 He loves his skiing and has really put some time in on the boards so far this winter. He’s promised some video of his adventure. I’m really seeing this market come to life. Granted, this new life has been spurred by a new price paradigm across all ranges in our market, but buyers that have been sitting on the sidelines for months and years even are now making buy decisions and sellers have finally decided it’s time to move up. So, we are getting some traction in spite of what’s happening in the world around us. As always, I’m never too busy for any of your referrals, and thank you for the ones I’ve received already this year! Cryer adds another for a hat trick to put the U.S. up 14-3 with 5:02 to go. Andrew Cryer goes Zip Lining During a Costa Rica Backpack Trip!! “It was the best of times, it was the worst of times.” To put it mildly we rode the roller coaster this year. After the holidays last year, Deirdre and I went back to the routine of work, play and keeping track of the kids. We enjoyed a number of winter days on the mountain skiing. We were blessed with great timing for snow days as our commute was paid off routinely with powder days. I quickly earned the moniker of “Tumbling Tommy” after one particularly dramatic “head-plant” sans helmet. We were living the good life! Caroline and Andrew living locally were able to join Deirdre and myself routinely for a day on the slopes. We did not have one commute along I-70 that I can remember that became a lesson in frustration. Maybe a slowdown or two or three, but I just can’t remember a trip to the mountains this year that was measured by hours of stop and go. 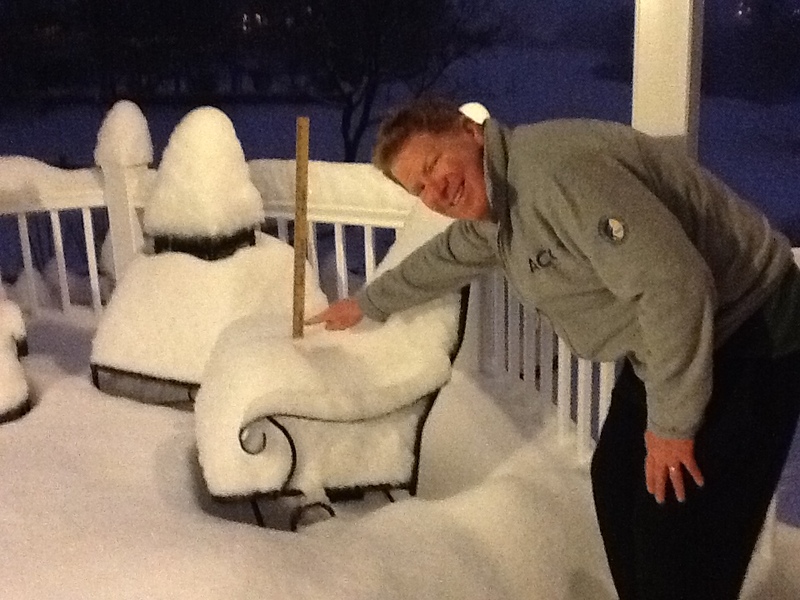 Winter blended into spring and lacrosse was in full swing. 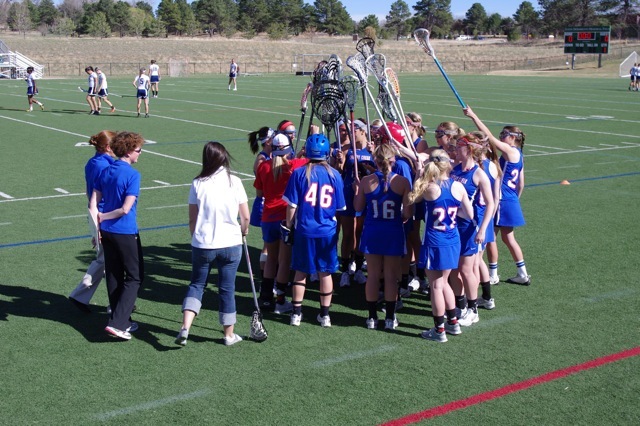 Deirdre’s Cherry Creek High School Girls Lacrosse Team worked their way through the preliminary state rounds and then into the finals. In the second half, they put the East Eagles away for good, and took the State Championship back to the friendly confines of E. Union Ave. one more time! Somewhere along the way, however, the phone rang, and it was William. Recognizing the symptoms this time, he went straight to the emergency room in South Bend, and 24 hours later, he was back in Denver after another very expensive MedJet flight. Thank the Lord for good health insurance! Within a few weeks, he was healing and was released to walk with his 2010 class graduation. After our return to Denver, a significant setback sent him back into the hospital which ultimately prevented his ability to intern in Chicago for the summer. Slowly he healed and was allowed solid foods. He was in good shape by August, and after consults with several specialists his summer was over. It was time for him to return to ND for his final semester needed to clean up all the loose ends brought on by his malady. We believe we have discovered a potential cause. A few diet changes may be assisting with a more knowledgeable plan for prevention moving forward. We hope our prayers have been answered! 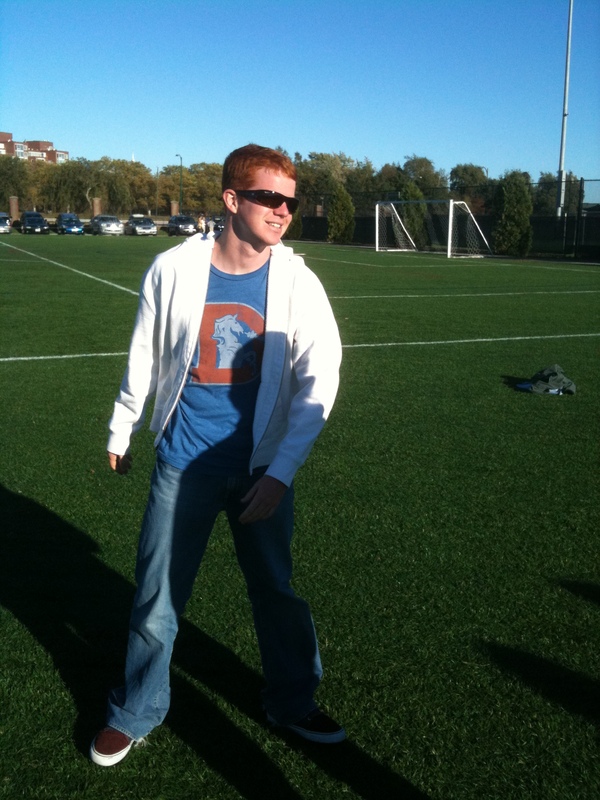 Andrew finished his freshman year at DU, and is currently fully entrenched in his curriculum at the HRTM School. He had a number of simultaneous jobs this summer related to food service and food distribution. He had a very educational trip with some of his classmates to New York City to a food convention. He said this city is so big, “they had to name it twice”. Currently, he is backpacking his way around Costa Rica. He visited his Putney Family there and was invited to spend the night. I’m confident he’ll have lots of stories to tell us around the Christmas Table at month’s end. Finally, he did something I never even dreamed of; he made “Straight A’s” this semester! 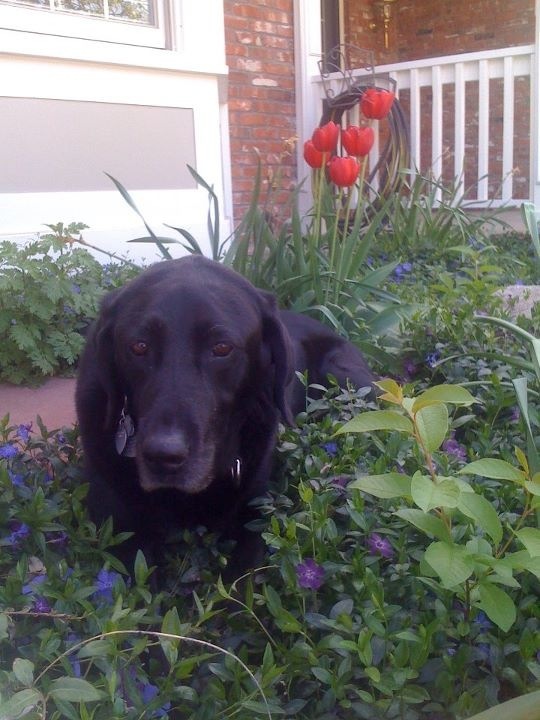 Last but not least, Madison the Dog, turned 12 this year. She still keeps up with me on walks most days, she loves to stay on schedule, but even that has slowed to some degree. The vet says she is fine, but far from perfect. Madison often reminds me of that scene from Marly and Me when Owen Wilson looks out into the yard, and Marly just lies there. Madison has a spot in the center of the backyard where she will lie alone for long periods of time just watching the world go by. So, that’s 2010 in a nutshell for the Cryer’s. We would like to take this opportunity to wish everyone the best and brightest 2011!!! October has come and gone, and the Cryer’s have been quite busy again. I thought this would be a great month to show in Photos! Happy Halloween! 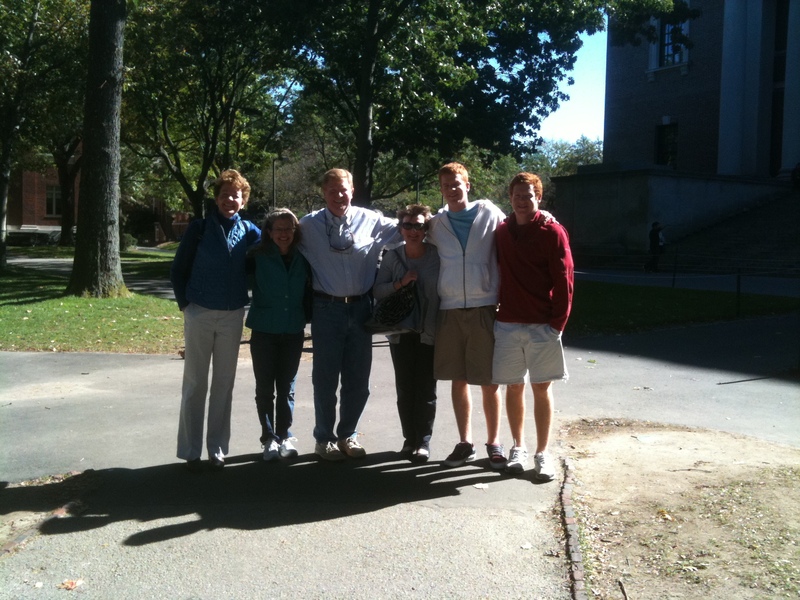 The family except Caroline enjoyed Mr. Bartley’s Burger Cottage then walked through Harvard Yard. We met Deirdre‘s family in Boston while Caroline practiced and played with the US Women’s Team at Harvard against the same, BC and BU on consecutive days. On Saturday that weekend, we enjoyed Mr. Bartley’s Burger Cottage, Harvard Yard and a Tailgate just outside the stadium before the exhibitions started that night. 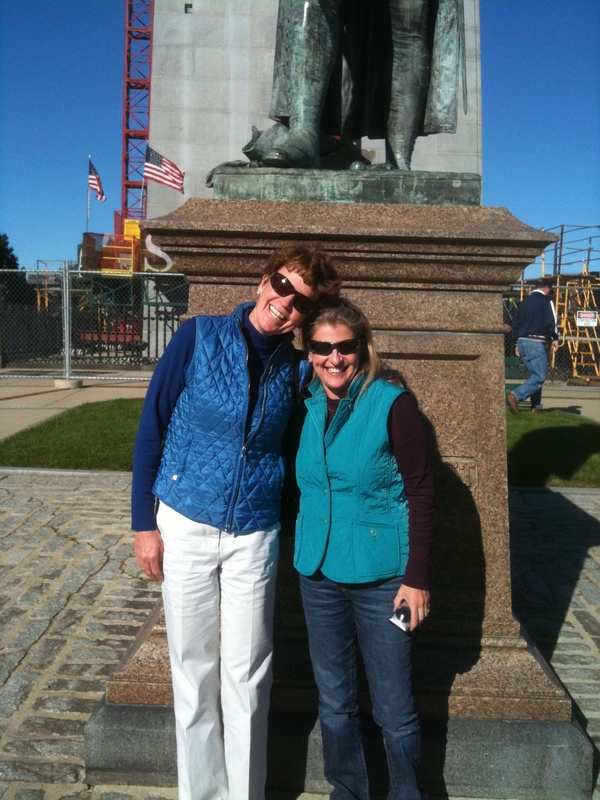 We toured Boston with our remaining time and caught this family memory at the base of Bunker Hill. We saw what looks like the completion of the Big Dig, but you never know what might happen there. The exhibition games sometimes drug on without a sense of real competition from the University Teams. The US Team clearly out matched the other teams not only on the score board but ball control, etc. It’s good to know they still have it! This lead to a few extra curricular activities along the sideline for Andrew and William. They even tried to take me down a couple of times, but Old Dad was still too tough of a match up for them! As you can see, the weather was simply fantastic. Fall colors were starting, the sky was blue and for the most part, no wind! At home, Deirdre moves ever closer to the completion of her backyard masterpiece. 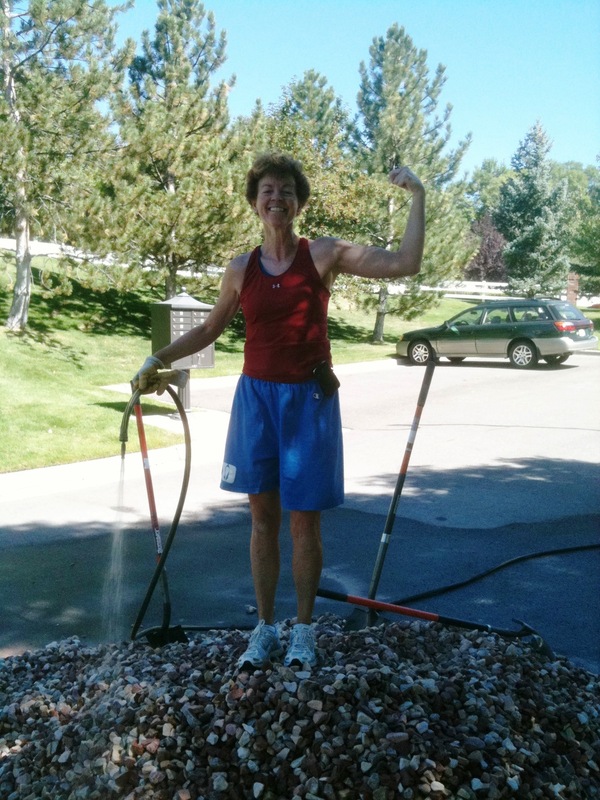 This month she had help from Tom Gold and his truly amazing power washer and of course his “artful” eye as she placed her her final course of river rock. 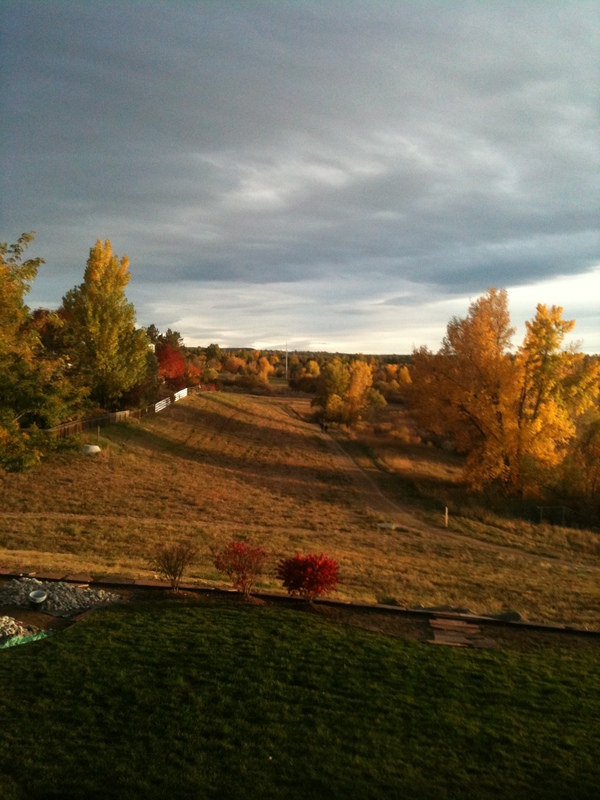 She has some plantings and mulch for the final push before the snow flies. We’ve had many an evening now roasting the Marshmallows and talking fireside. It really has been a great plan she has lovingly and expertly guided through the process. As for moving rock, all of us have arms longer at months end than we did at the beginning! Last but not least, William was home for an interview, we are all keeping our fingers crossed for that job in Denver! Adios October! As predicted, September was a month of “getting back to it”. Overall, it’s been a great month to regroup and get in touch with some old friends. Keeping the community together is always fun. Somehow, these chance last minute get togethers seem to happen much easier during a month like September. William returned to Notre Dam and has more than a month under his belt. The football season has once again left him in disbelief. 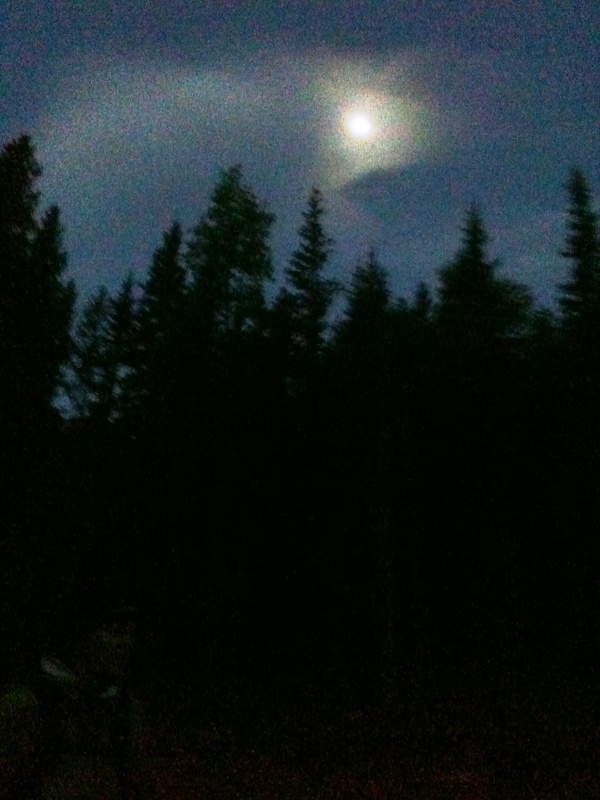 I haven’t given up on the Fighting Irish yet, but “There’s a bad moon a risen…”. Anyway, William has been busy back at the IT Dept on campus, enjoying is last semester of classes and interviewing. Several of the international firms are looking his way. We are keeping our fingers crossed that he gets his way! He feels healthy and seems happy (except for football performances both on campus and here in the Mile High City). 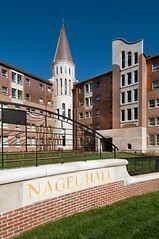 Andrew settled into the Nagle Hall at DU a couple of weeks ago. The sophomore dorm offers a degree of independence from food service that he likes and his suite mates are a good group of young men. He is already busy with classes, Young Life and he bagged Mt. Evans this weekend! Caroline just returned from Homecoming Weekend at Duke. She had a blast seeing old friends, classmates and teammates. Duke football makes ND and the Broncos seem like champions. She works out whenever time permits, she works the rest of the time at iP3 or coaching. We are preparing to see what the new US Team has in a couple of weeks in Boston at Harvard’s new lacrosse field. That will be fun. 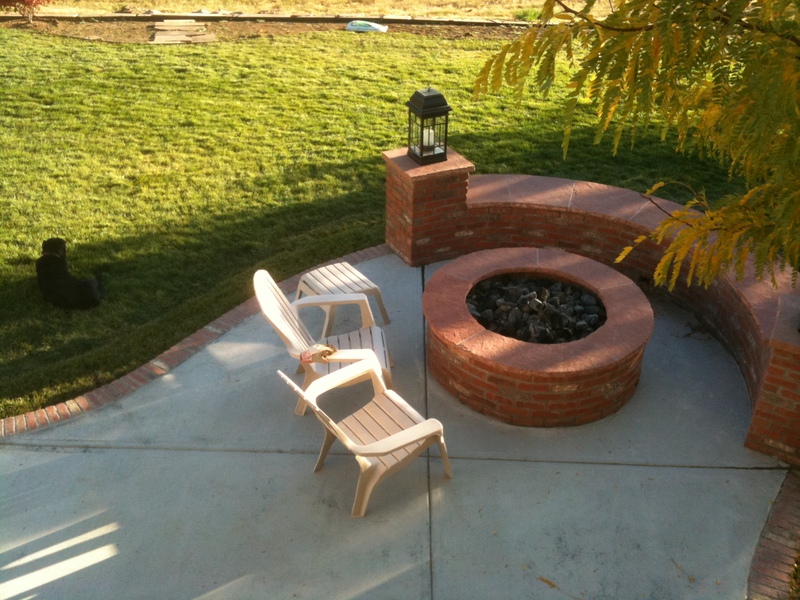 Dee has been laboring relentlessly to finish her backyard landscape renovation. She is doing a fantastic job. We are calling her Guns because of her newly found upper body and arm strength. 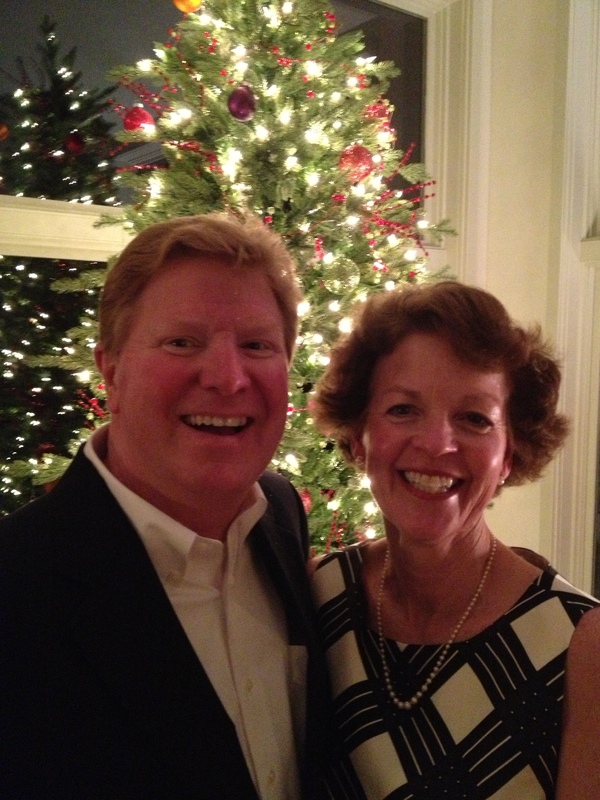 We can’t thank Bob and Pam Neufeld for helping us with some heavy lifting last weekend! It was a scene right out of Tom Sawyer only it was an 8 ton pile of landscape rock and not a white picket fence. She promises to be complete any day now. In the meantime, we are enjoying toasting marshmallows at the fire pit, the view from the deck and the new additions to our landscape. I promise pictures soon! 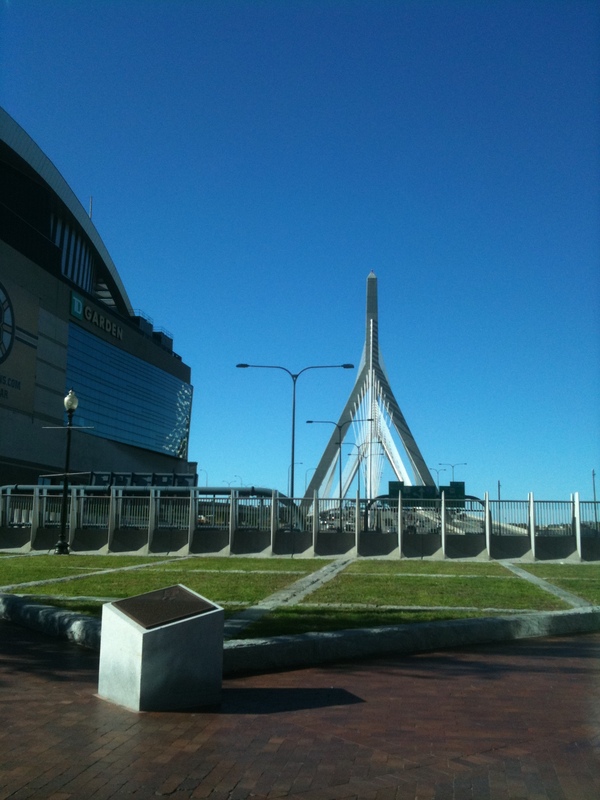 I can’t wait for Boston. I have always wanted to spend time in Cambridge. With Harvard on the calendar on this trip, I WILL finally make it to Mr. Bartley’s Burger Cottage. Otherwise, pulling deals together in this environment of uncertainty has impeded more than one transaction this year, but there continues to be little signs of life in this market, but few without a loser on the seller’s end. Timing has become the new location. 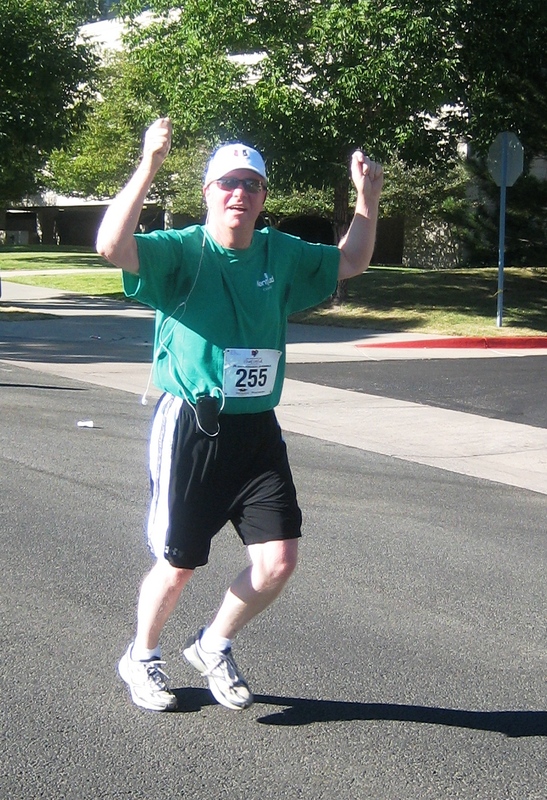 We had fun at the Greenwood Village Fitness Festival where I completed a 5K run with a smile and hand from Caroline, Dee and a few Kentwood people waiting at the finish line. Last but not least, I spent four days in September working with three different experts on real estate related technology. Thrive Social Media, Active Website and Inman Real Estate. Where are buyer’s looking, what services are they employing, what handheld devices are winning and more. The future is very exciting for all of us! August clearly became the beginning of the end for summer. Not that we weren’t busy with summer stuff, but with William heading back to ND early in the month, the 5 of us have become 4 at home. After all the tests, poking and prodding that William went through, he is probably happy to be away and on his own again. Dee and I had a great assault on Mt. Evans cresting the top to see the parking lot in front of us. Right then we saw a couple in Kansas City Chief jackets carrying little Chihuahua dogs inside their coats I guess to keep them warm. 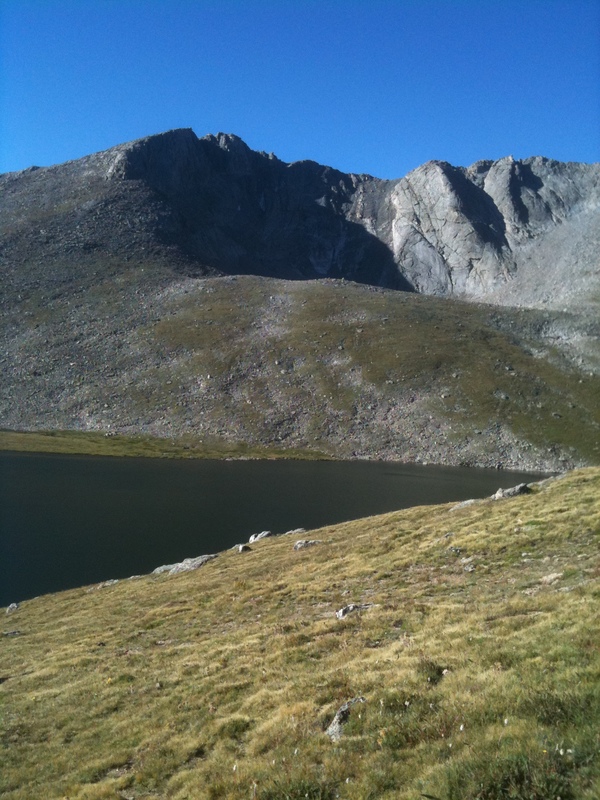 This is clearly the hardship a climbing a 14er that is accessible by auto. It was still beautiful and our approach from the northwest allowed a quiet, view filled and people free experience until the bitter end. Ce la vie! 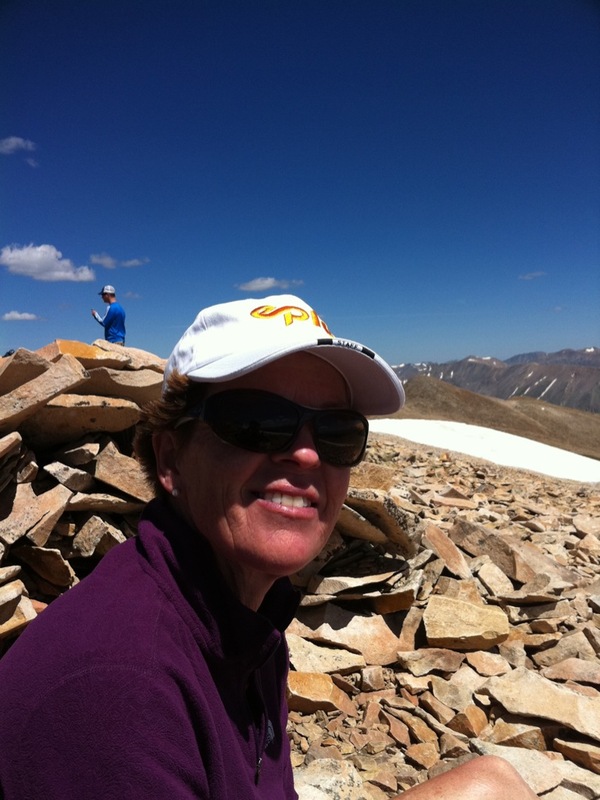 Once again, on the last Saturday of August, Dee, Caroline and yours truly bagged Pikes Peak! I had no idea how big this mountain is. With a little off course hiking (3 Miles), we made it to the top and back (somewhere near 17 miles all told). It was a beautiful day. Barry Glickenhaus joined us with is Mt. Fuji “Walking Stick”, so the journey becam somewhat sacred. The neat thing about Pikes Peak is you hike, scramble and hunt your way through all kinds of earthly obstacles to finally arrive at the top to what else – A Donut and Gift Shop! Walking through the gift shop with backpack and togs, we looked like Gods to the mere mortals arriving by auto and train. They stared relentlessly. Later Caroline said it was my good looks! We left early, and because I hadn’t seen the moon this early in a while, I thought is deserved an image attempt. Also, since we were on the backside of Pikes Peak, the sunrise was unique also. 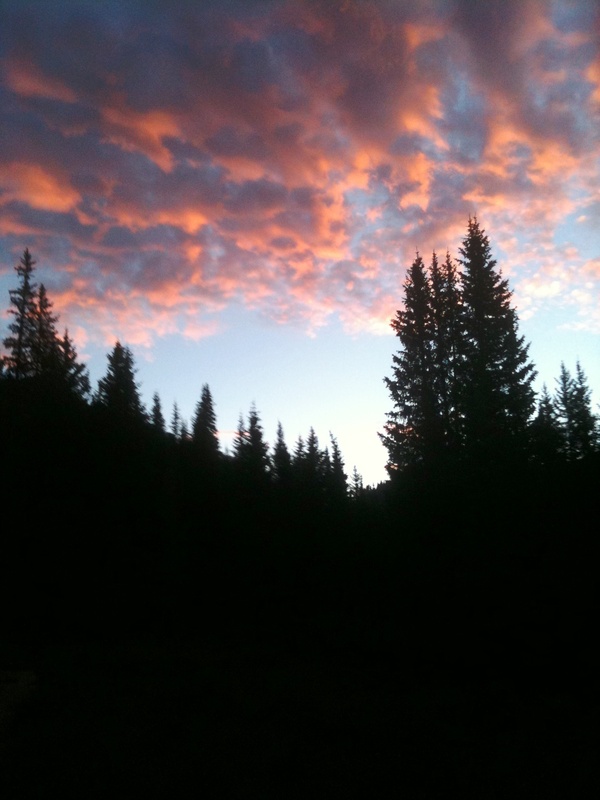 Enjoy these two images and this video! Andrew returned from his three weeks at Crooked Creek Camp. He fed the “Ranglers” every morning in the pristine forest. It was a great experience for his HRTM requirements at DU. Believe it or not we are talking about Hockey season already. How time flies. As you heard last month, Caroline held her status at tryouts on the US Women’s Team once again. As a result, we will be in Boston for a long weekend of Lacrosse events and visiting Dee’s family. She had great fun with Megan Tyrie in Boulder at the Muddy Buddies Competition. July was an interesting month. We’ve hardly sat still for a minute, but in spite of being on the go constantly, we’ve still managed to enjoy the slower pace of summer. 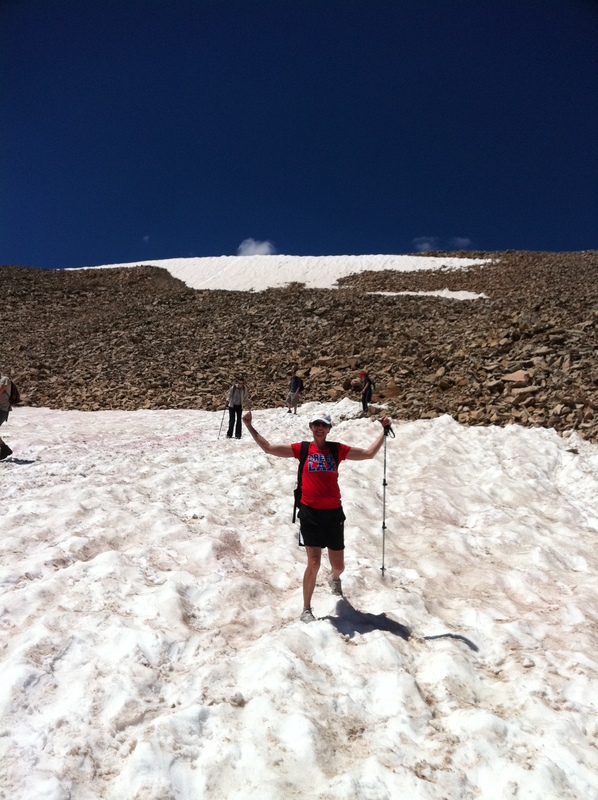 Weddings, climbing, backyard grilling, travel, yard work, and more. We even did a family portrait! Bet you can’t wait to see it? Dee has focused her entire month on getting William healthy with weight gain, doctor consults, and ready to finish up his last semester. 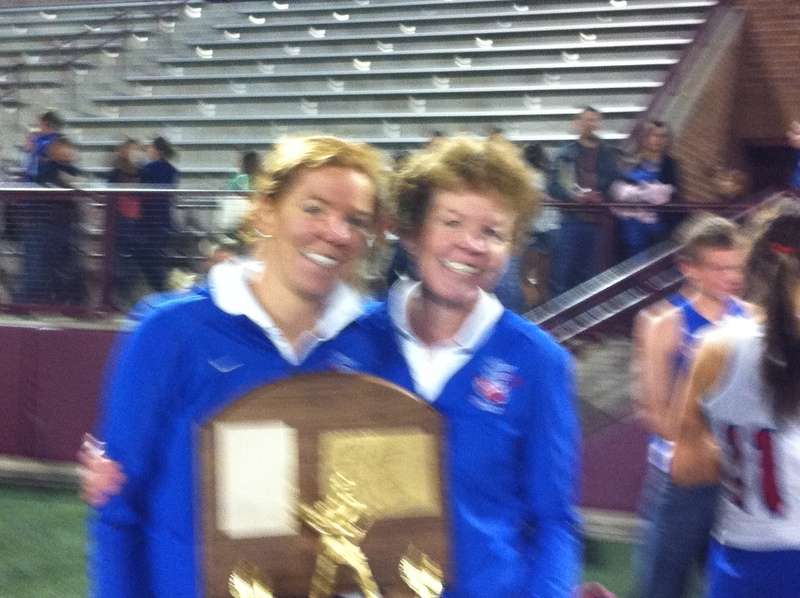 Along the way, she has done a great job coaching me! Last but not least, however, we had a great weekend away for her birthday. It’s a good life! 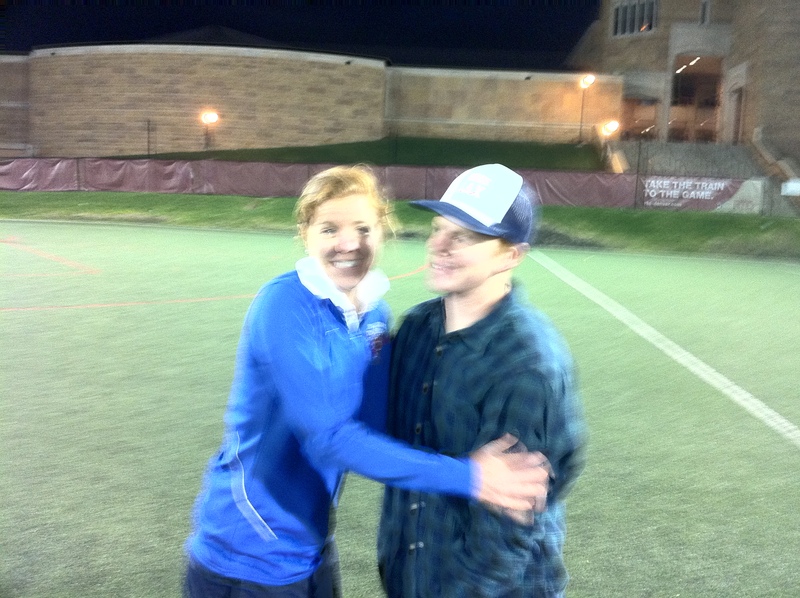 Caroline has been to two weddings and is right now off to her US Team tryouts in Maryland. (NEWS FLASH: SHE MADE IT AGAIN!) She has been working so hard 9-5 and keeps in shape for that level of competition. It appears to have paid off. Congratulations!! Andrew is still busy working. He has appeared as a vendor at numerous farmers’ markets, expedited food at a local restaurant, been a DJ, cooked at camp for Young Life, and managed to fit the Bare Naked Ladies in at Red Rocks!! William continues to heal! He was just recently allowed to move onto feeds he can chew. It’s mostly good news. He is learning all sorts of things about diet, nutrition, and food allergies. Doctor visits are becoming routine and hospital stays are just a memory at this point. Believe it or not, his first stop was McDonalds. I’ll keep you posted. I “bagged” another 14er this month. Mt. 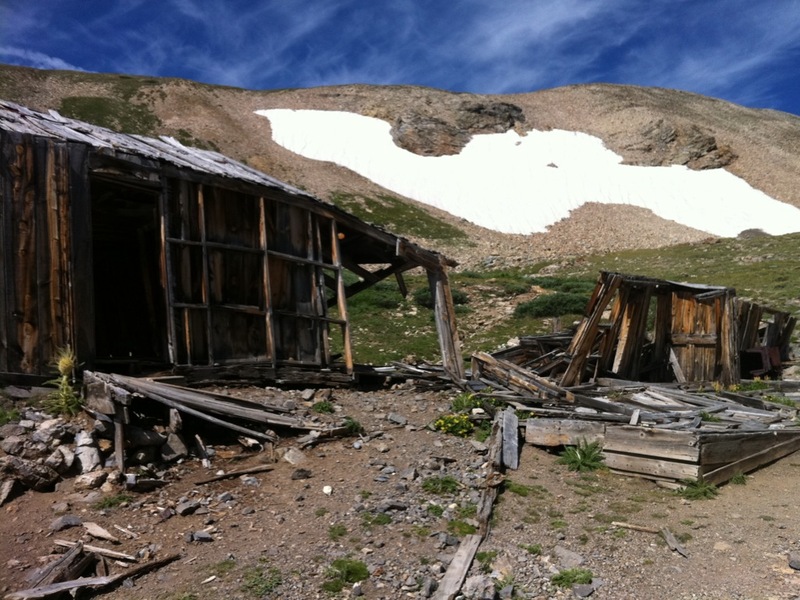 Bierstadt and in August, I hope to bag Mt. Evans. This will just about complete the front range mountains for me. Both are visible from my home, so it will feel great to be walking through the neighborhood when looking up and say, “I stood on both of those!” The invitation is still open. Get on board, the more the merrier!